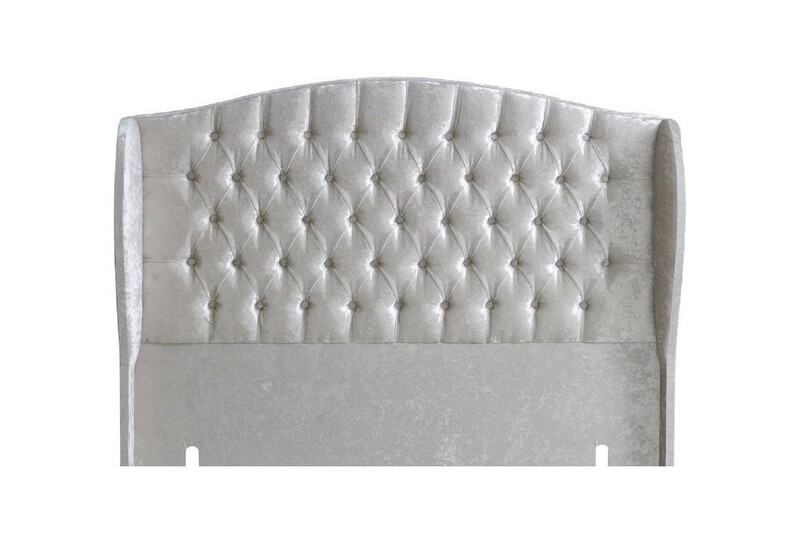 This stunning, floor standing winged headboard with a curved top is sure to impress. Chelsea's name reflects style, with lavish, deep buttoning and the distinctive curved wings that surely make it one of the most inviting and comfortable headboards you’ll find. Choose Chelsea and you’ll enjoy years of high-class luxury without breaking the bank! Like all of our top quality headboards, Hampton is handmade in a range of fabrics, colours and sizes.